Star Wars—and other geek pop culture—teaches us how to respond to dark political times. President Trump: It's a phrase we're all going to have to get used to. I don't like it any more than you do—maybe even less so. There's some solace in the knowledge that this isn't going to automatically end with the world on fire, though it's a distinct possibility. Master Yoda once said that the future is always in motion, but the past is set in stone—until we invent time travel, that is. Because of the insights offered by history, George Lucas was able to warn us about Trump and the political status quo even before it happened. He looked at how republics fell to empires all throughout history—fictional and otherwise. Armed with this knowledge, Lucas set out to give us a political parable in the hopes that we would take the lessons to heart and never let the dire situations he predicted become a reality. Trump was who Lucas was warning us about. And Lucas was learning from history. I know it sounds hyperbolic, but follow me through this one. "How do you turn over democracy to a tyrant with applause? Not with a coup, but with applause?" Lucas asked once when making Revenge of the Sith. "That is the story of Caesar, Napoleon and Hitler." He went back to history and found how these tyrants took the reins of power from a populace that was happy to see them do it. But he also looked around at the political landscape and warned us about the frightening possibilities in the Star Wars prequels. In The Phantom Menace, wasn't it terrifying to think that major industrial concerns like the Trade Federation had senate seats in this crumbling Republic? What tools did Palpatine use to rise to power? In addition to manipulating the monied interests, he used propaganda and the lies about the self-serving situations he created to assume command. And then he kept taking further steps as time wore on. Jar Jar Binks in Attack of the Clones represents the American electorate during this most recent election. He had a heart of solid gold and wanted to do the right thing to protect the values of the Republic, but he was lied to and manipulated, unable to tell truth from fiction. 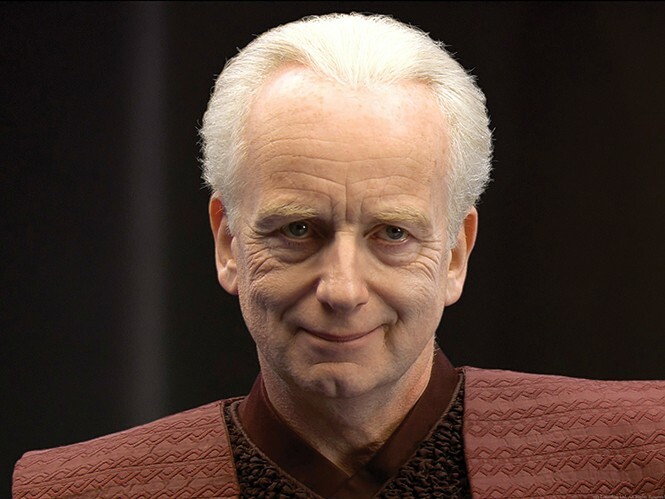 As a result, he set into motion the vote that would allow Palpatine to assume control as Emperor. How could he have realized? All he wanted to do was to make the world a better place. The Star Wars movies were there to tell us what to watch out for, but many just looked at them as entertainment. They can, however, still teach us how to deal with the next four years of Trump presidency. After the prequels, we had A New Hope. Rogue One is coming out this month, and like Felicity Jones' character Jyn Erso reminds us, "Rebellions are built on hope." That's not to say I'm advocating armed rebellion as we saw in the original trilogy. I'm saying that we need to resist the policies and politics that would turn us from Republic to Empire—but make no mistake, the comparison is apt. Steve Bannon, a senior Trump advisor, did compare himself recently to Darth Vader. And he said it like that was a good thing. Sometimes it seems like the only lesson we've learned is that we don't learn lessons from history or the art based on it. But we don't have to fall deeper into that pattern. America lost this time. The Empire struck back. But with new hope comes the promise of a return.